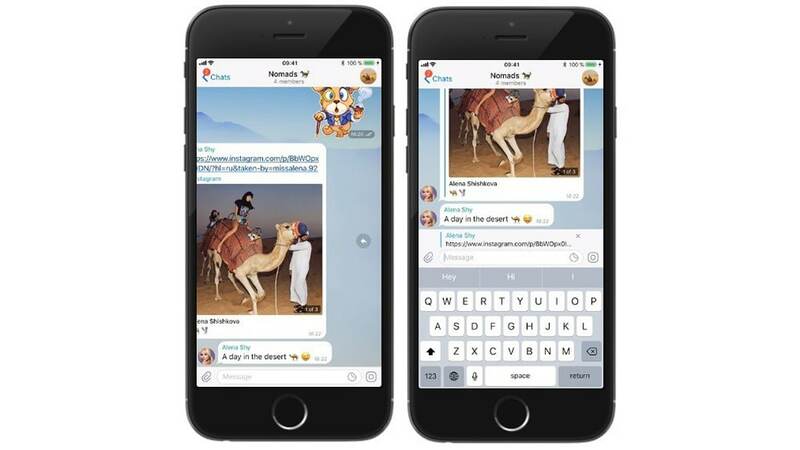 As 2018 dawns across the globe, Telegram has shaped a few very impressive additions in its newly released update for the Android app in a bid to refine the user experience. The new version (4.7) for Android now supports multiple accounts. With the addition of this feature, you can add up to three accounts with different phone numbers. Switching from one account to another is as simple as toggling between the accounts from the side menu. The best thing about this new update is that you will receive notifications from all the accounts regardless of which account’s active on the screen. The iOS app, however, stays in its previous form with the ability to support only one account at a time. Though, the Apple users can now change the appearance of the app with Telegram’s new “Appearance Setting”. Under this feature, the iOS version of Telegram app provides several themes to pick from, including two dark “night time” themes and a “day” theme with changeable colors. iOS users will be able to get their hands on the multiple account feature in a few weeks time. The new update, on both smartphone platforms, also supports quick replies. A text bubble can be replied to by quickly swiping it to the left. On iOS, the update also includes different font sizes to choose from. You can download the Android version of Telegram here and the iOS version here. Bhai telegram ban ker dia hai. Whatsapp jaisa bekaar messenger Free ker dia hai. Ye Pakistani awam her 2 number cheez hi kyun adapt krti hai? Would be better if you highlight it “NOT FOR PAKISTANIS” since it banned here !